Whether you have been arrested, or convicted of a crime you need an experienced criminal defense lawyer. Located in Westchester County, the New York law firm of Green & Willstatter, provides high-quality legal representation and hands-on, personalized, attentive service from top lawyers, each with more than 30 years of criminal defense experience. We handle criminal matters at all stages, including investigation, trial, and appeals before the highest courts. We represent clients in all types of criminal cases, from misdemeanors to complex federal fraud charges, including: White collar crimes, DUI/DWI, Domestic violence crimes, State and federal appeals, Drug charges and Criminal Defense. We’ve been consistently rated at the top of our field by industry rating agencies. View our profiles on AVVO, Martindale-Hubble, SuperLawyers and read about us in New York Magazine.  We are a member of NACDL.